Improving the UX (short for User Experience) is always on the radar whenever Brings out an update for Chrome. In this recent update or Chrome 63, Google has worked to provide its Android users with a seamless Chrome experience. One of the more interesting aspects of this update is that now, users won’t have to bear with annoying notification prompts on Chrome 63. Simultaneously, the marketers will be able to see if any user is interested or not, straight away without much hassle. Let us take a closer look at the changes Chrome 63 brings for permission prompts. Currently, most websites prompt users to subscribe to permission prompts, the moment they land on their webpage. This doesn’t allow the users to explore the website much. Therefore, what happens is that the users get so accustomed to receiving the notification that they subconsciously ignore it. Eventually, the users neither click on the ‘Allow’ nor the ‘Deny’ button; they simply dismiss the web push notification. Previously, in Chrome 59, Google introduced temporary blocking of these prompts for 7 days, after user dismissed them thrice. This was done to improve the user experience. In Chrome 63, however, a lot has changed. 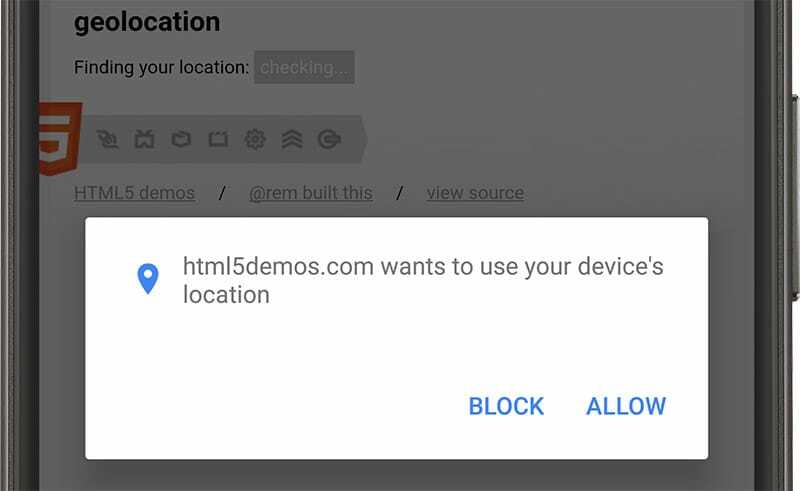 Once the users install Chrome 63 on their Android devices, they won’t get the ‘Dismiss’ option on the permission prompts (as depicted in the image above). If the users click on ‘Deny’, Google will block that prompt for the user forever. On the other hand, if the user chooses to click on ‘Allow’, they end up subscribing to the all future website notifications. Because of this, there will be no in-between the user actions. Without the ‘Dismiss’ button, users can still choose to ignore the prompt by selecting the back button. Subsequently, if the user does this thrice, Google will block the permission prompt. In previous versions of Chrome for Android, all permission prompts did appear as a banner at the bottom of the screen. 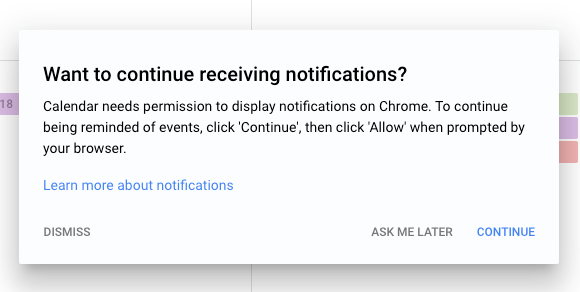 With Chrome 63, however, these notification prompts will get displayed as a Modal Dialog so that users cannot ignore it. It has become important now that marketers send all permission prompts at the right time. Not only should they give proper contexts to these prompts, marketers should also time the notifications according to user’s behavior on their website. For example, if you have a travel website, you can wait to confirm if the user is booking a flight or not. Subsequently, push out notifications, asking them if they want a reminder of it or if they would prefer future updates about the flight schedule. Do the users want a product, which is out of stock currently? If yes, then you can send prompts to confirm if they would like an update once the product becomes available. Similarly, you can send permission prompts to ask users if they would like to know about recent updates and new products. 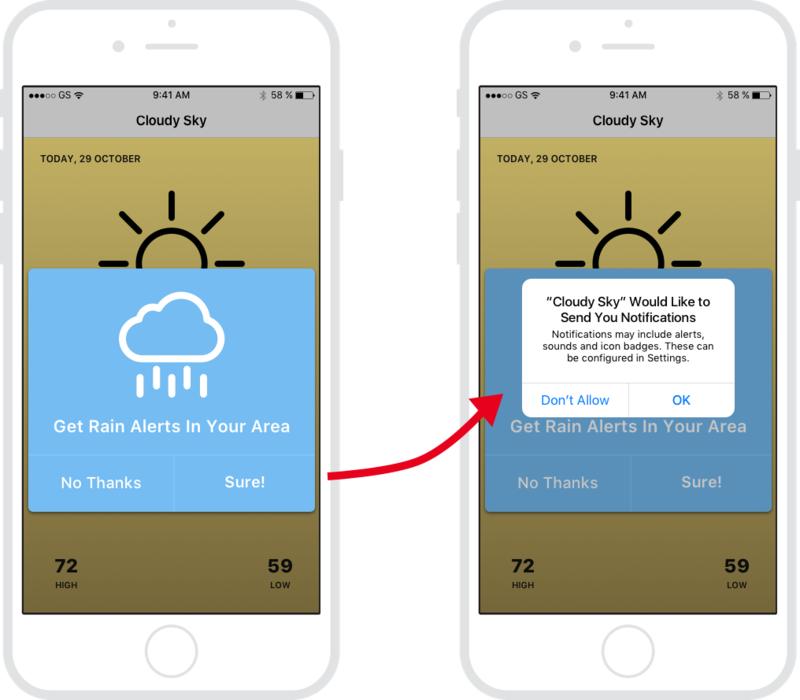 Here, you can show your users the value out of subscribing to the notifications, instead of placing the prompts absent-mindedly. You can also play around with personalized subscription prompts to commit your users into subscribing to your website.